The SLOW LIFE Symposium will be held from November 7-10 for the fourth time. The event has become renowned for bringing together some of the most influential environmentalists on the planet to lay the foundations for some of the most dynamic sustainability initiatives in the natural world. So it is inevitable that the 2013 Symposium, a SLOW LIFE Foundation event sponsored by the Soneva Resorts & Residences, will generate a new set of ideas and solutions during three days and nights of discussions covering sustainable tourism, marine and water conservation, energy security and threatened biodiversity. Drawing on this year’s theme of Innovation through Collaboration, a specially invited group of just 30 business leaders, scientists, NGOs, renowned thinkers and policy makers will immerse themselves in a series of plenaries, panels and workshops to explore opportunities for both the business and philanthropic sectors to increase their positive impact on the environment. Jonathon Porritt, Founder Director of Forum for the Future and Co-Director of The Prince of Wales Business and Sustainability Programme will Chair the 2013 Symposium, which will be held at Soneva Kiri resort in Thailand. An eminent writer, broadcaster and commentator on sustainable development, Jonathan advises governments, royalty and business on the environment and sustainability. Jonathon was at the SLOW LIFE Symposium in 2011 when the WHOLE WORLD Water campaign was conceived. WHOLE WORLD Water is uniting the hospitality and tourism industry in eliminating branded bottled water in favour of selling triple-filtered source water with a portion of revenues contributing to clean water initiatives around the world. He was also at the SLOW LIFE Symposium in 2010 when the government of the Maldives and the BLUE Marine Foundation, led by Symposium participant Chris Gorell-Barnes, pledged to work together to protect Maldivian waters in a way that is compatible with and complementary to the country’s sustainable fisheries. Jonathan will be joined by a distinguished panel of speakers from a broad spectrum of environmental interests including Sonu Shivdasani, the Chairman and CEO of the Soneva Group and the driving force behind the SLOW LIFE Foundation. 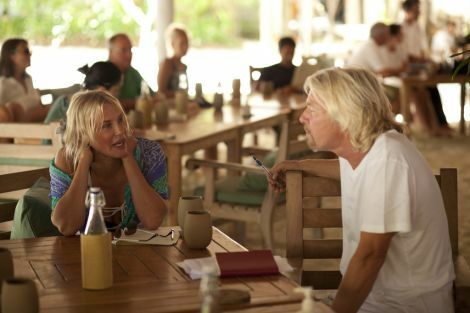 For the first time the event will be held at Soneva Kiri, located on the unspoilt island of Koh Kood in Thailand. The resort offers the perfect stage for hosting the 2013 Symposium for its quiet natural beauty and commitment to using responsibly sourced timber in building, locally sourced produce in food preparations and a ground-breaking approach to responsible tourism. Soneva Fushi, the location for previous symposiums, as well as Soneva Kiri, produces its own drinking water, recycles 85% of its solid waste and relies heavily on solar technologies to reduce dependence on expensive and polluting diesel. Both Soneva Kiri and Soneva Fushi provide constant reminders of an environment worth protecting.